Even in an industry in which bad or erratic behavior is expected , insiders and observers are stunned by what authorities allege was fakery intended in part to get Jussie Smollett publicity and a raise. LOS ANGELES (AP) — For five years, Jussie Smollett has been enmeshed in weekly drama on the set of “Empire,” the Fox TV series that gave the actor a breakout role and the fame to advance his social activism. But Friday’s news that Smollett won’t appear on the final two episodes of this season of “Empire” leaves his future on the series very much in doubt, part of the cascading fallout of one night on a Chicago street in January. 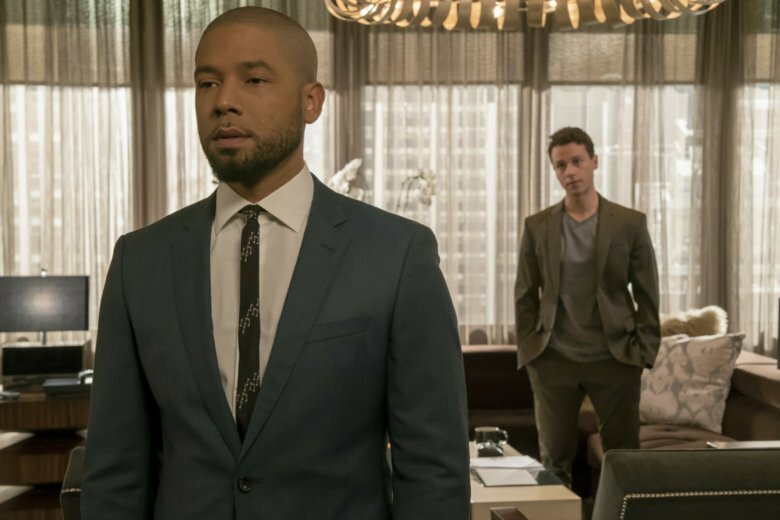 It left Smollett facing felony charges and raised the possibility that his role as Jamal Lyon could mark the pinnacle of the 36-year-old’s career. Smollett, who is black and gay, told police he was the victim of a hate crime committed by men who threw liquid in his face, yelled racist, anti-gay slurs and looped a noose around his neck. After a three-week investigation, Smollett was charged Wednesday with staging the attack with help from two brothers he knew and allegedly paid for their services. Even in an industry in which bad or erratic behavior is expected, insiders and observers are stunned by what authorities allege was fakery intended in part to get Smollett publicity and a raise. There are two episodes of the show left to make of the 18 airing this season, the fifth year for the series starring Taraji P. Henson and Terrence Howard as hip-hop moguls Cookie and Lucious Lyon. The series, on a midseason break, returns March 13 with nine episodes. At this point, Smollett is part of the seven already completed episodes. Before Friday’s statement, Fox had publicly stood behind Smollett even as skepticism about the attack arose. Replacing Smollett so late in the series might be problematic. Writing his character, one of three Lyon sons, out of future seasons would be less so. Smollett’s legal team released a statement late Thursday calling Chicago police’s version of events “an organized law enforcement spectacle that has no place in the American legal system. After Smollett was charged, TNT’s celebrity battle-rap series “Drop the Mic” pulled an upcoming episode with him “in the interest of not being exploitative of an incredibly sensitive situation,” the network said in a statement. Experts in the field of crisis management were pessimistic. The online mockery Smollett is taking is unlikely to stop, and it could hinder any attempt to re-emerge, said Eric Dezenhall, CEO of the public relations firm Dezenhall Resources. Eden Gillott, president of Gillott Communications, offered a similar take. “This could be a career-killer. We’ve seen this many times. Society has become more intolerant and unforgiving,” said Gillott, citing instances ranging from Kevin Spacey’s firing from “House of Cards” for alleged sexual misconduct to Megyn Kelly’s “Today” exit after she defended blackface costumes. What Smollett is alleged to have done isn’t analogous to either one — or to just about anything that’s happened with a celebrity or prominent person in recent memory or in news files. There have been stunts, such as Joaquin Phoenix’s role in a so-called documentary, “I’m Still Here,” directed by actor Casey Affleck and supposedly about Phoenix’s career as a rapper in decline. The film’s release came with public apologies and lawsuits attached. Others have exaggerated their exploits, such as TV journalist Brian Williams’ account of being in a helicopter hit by a rocket in the 2003 Iraq invasion or Hillary Clinton’s 2008 account of landing under sniper fire during a 1990s trip as first lady. The allegation that Smollett did it for money could be seen as both a betrayal and baffling, given what he earns: more than $1.8 million for the current 18-episode season of “Empire,” according to a person familiar with the situation. Dezenhall said it would be tough for Smollett, who proclaimed himself innocent of the charges through his lawyers, to explain himself publicly. Or search out people like Kandi Burruss, the singer-songwriter and reality star. “I consider him a friend. I love him and regardless of if it’s true or not, I’m still going to be here for him. I hate the situation but I don’t hate the person,” she told The Associated Press Thursday at the Essence Black Women in Hollywood luncheon. AP Entertainment Writer Andrew Dalton and Cindy Martin contributed to his report. This story has been corrected to show Smollett is 36, not 38.